A year ago at this time, I had completely written off the franchise attempt that was the DC Extended Universe. Following the one-two punch of the polarizing Man of Steel & Batman v Superman: Dawn Of Justice (both of which I admittedly enjoyed, though that’s another story entirely), the dismal Suicide Squad and lackluster Justice League seemed to serve as nails in the coffin that was DC’s attempt to emulate Marvel Studios’ runaway success with their own Cinematic Universe, even in spite of the breath of fresh air that was 2017’s Wonder Woman. 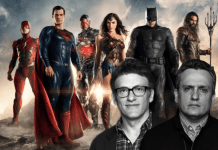 Last year’s Aquaman, however, managed to produce some impressive box office numbers and an overall bright, fun vibe that seemed worlds removed from the widely agreed upon dour output seen previously, most of which having been spearheaded by director Zack Snyder and apparently more in line with Christopher Nolan’s work on the now-legendary Dark Knight trilogy than anything else. With the bizarre-sounding Aquaman still on the horizon at that point, I couldn’t imagine what DC could possibly do to save their beleaguered universe, even as cameras began to roll on a movie called Shazam!. This is all coming from someone who’s always rooted for this particular studio-I never wanted to see them fail. I just wish they had gone about it differently, and I can’t think of many people who would say otherwise. 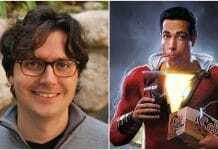 Initial pics from the set of Shazam! seemed strange, to say the least. 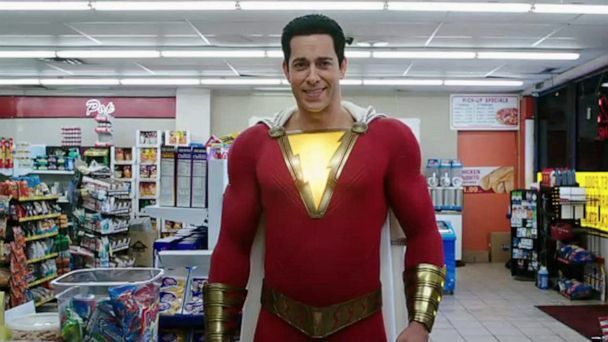 In the main role, Zachary Levi’s appearance in the titular costume seemed more cartoonish than what might have been expected, amplified by the fact that little was known about the premise nor had any significant video leaked as well. I, for one, knew almost nothing about the character, though all this would change when the first official trailer was released at last summer’s San Diego Comic-Con. To say I was impressed would be an understatement-I hadn’t felt that excited about a DC film since the third trailer for Man of Steel hit back in 2013. The feel was lighthearted, the jokes stuck the landing, and the excitement was genuine. From that moment on, little could satisfy my hunger for more Shazam!. 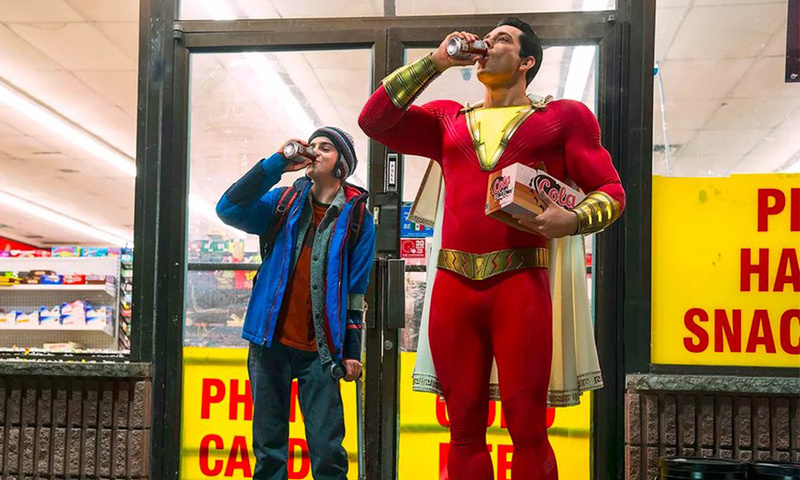 Unfortunately, the wait for the next trailer would prove to last well into the new year-fortunately, when Shazam!‘s marketing fully kicked into gear last month, every subsequent look at the film remained consistent with the tone seen before. 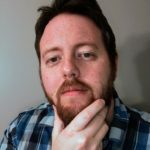 Advance reviews seemed almost universally praise-oriented, citing it as a fun, affectionate throwback to the films children of the ‘80s and ‘90s loved, and despite trying to tamper my soaring expectations nothing could hold me back from being beyond excited as I made my way to finally see Shazam! the weekend of its release. Having those expectations is never something I would advise-almost inevitably, you’re going to end up let down in some way, shape or form. Fortunately, I can safely say that is most definitely not the case with Shazam!. The premise is as simple as it gets-streetwise orphaned boy is given magic powers by a dying wizard, ones he can activate by simply uttering the wizard’s name, along the way attempting to come to grips with his newly adoptive family, his own issues in that regard and a similarly superpowered baddie intent on vanquishing the boy once and for all. It’s as tried and true as the Saturday morning cartoons with which we all grew up, and it’s in this simplicity that Shazam! truly succeeds. Free from the burden of the films before it, Shazam!, much like Aquaman, operates as its own entity, a standalone film with admitted references to the wider DCEU but which never once necessitate the viewer be aware of the conflict between Batman or Superman, or the politics of Wonder Woman’s homeland, or the battle with Steppenwolf. 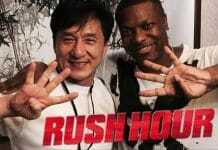 In this movie, does any of that even exist? It doesn’t matter, because when you’re having this much fun, it’s hard to think about anything else. Shazam!’s greatest strength is truly the cast-almost everyone involved gives it 100%, showcasing loads of chemistry and a real feel that everyone on set wanted to make something special. 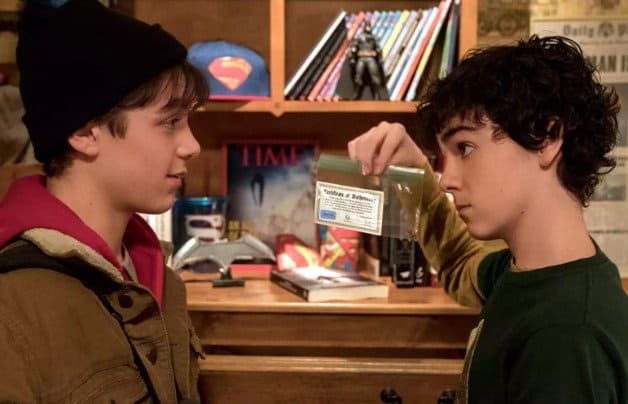 As Billy Batson, the boy given powers by the wizard Shazam (Djimon Honsou), Asher Angel shows a surprising amount of range in his performance, stemming from Billy’s apathetic views on life brought about by an endless quest to track down his birth mother. It’s a personal journey that gives way to some sincere emotion, which when coupled with the emphasis on the importance family throughout Shazam! further set the film into a category all its own. 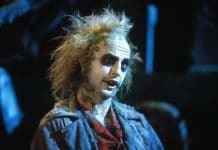 Jack Dylan Grazer, meanwhile, last seen stealing the show in 2017’s It and now cast as Billy’s friend/group home brother,superhero-devotee Freddy Freeman, continues to devour every moment of screentime with an earnest portrayal and wonderful chemistry between both Billy and, eventually, Billy’s alter-ego. As that alter-ego, Zachary Levi is unquestionably the star, finally in possession of a role that should catapult the actor to new heights in his career after something of an underdog of a resume years removed from his days on Chuck, a voice in Tangled and a small role in two Thor sequels. 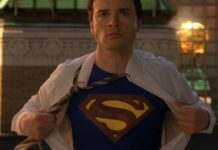 With a real-life persona that’s completely in line with his “Big meets Superman” onscreen story arc, he’s already a teenager in a beefed up body, making the most of every scene he’s in whether it’s the numerous moments that show him testing out his new powers, always to comical effect, his excellent interactions with Freeman or even when he’s engaged in battle-in every way, Levi’s natural comedic timing sets him completely apart from every other superhero of the DCEU. I can’t think of anyone else who could’ve inhabited the role better than Levi, and I sit in anticipation of the next time he suits up. Additionally, a substantial amount of props must be extended to the additional members of the group home in which Billy finds himself early on, characters who not only help the familial sideplot but perform well in their own right. I am, of course, referring to Grace Fulton as Mary, Ian Chen as Eugene, Jovan Armand as Pedro, Faithe Herman as Darla and, as the home’s guardians, Marta Milans as Rosa & Cooper Andrews as Victor. Each one displays a fine amount of range, depth and, in the case of Herman in particular, the requisite cuteness that, fortunately, she plays well. Milans & Andrews are even given their own moments in the spotlight as they attempt to reel in Billy and understand him as a person-it’s an environment that should look familiar to anyone who’s ever found themselves in such a situation, even when it comes to relating to parents or your own siblings. This is a fine supporting cast, all boosted by a magnificent score courtesy of Benjamin Wallfisch-truly an additional character all its own, the music he’s brought to Shazam! takes a drastic left turn from the memorable electronica-tinged percussiveness heard from DCEU’s mainstays Hans Zimmer & Junkie XL with far more triumphant music in keeping with the film’s upbeat tone. As I mentioned previously, this is John Williams to a T, and I couldn’t have been happier to hear it. Yes, Shazam!, like any great cartoon or superhero adaptation, isn’t without its faults, ranging from the nitpicky to the slightly troubling. Hounsou’s brief appearance as the aforementioned, all-important wizard is as Gandalf-lite as it gets, exploding with cliché, even if the moment where he bestows his powers upon Billy is as epic as when Thor finally got Mjolnir back. As Dr. Sivana, Shazam!‘s villain, Mark Strong achieves an overwhelming amount of redemption in his return to DC following his appearance as Sinestro back in 2011’s dudtacular Green Lantern, even if his role lacks any real semblance of threat or menace, more than likely a conscious decision to keep him in check and certainly less frightening in line with the family atmosphere throughout. That scariness is saved for the Seven Deadly Sins, the monsters that the wizard Shazam’s been trying to keep at bay for eons who, when they finally make their appearance, are sincerely terrifying and heavily reminiscent of, say, Zuul or Vinz Clortho back in the glory days of Ghostbusters. In addition to their welcome appearance, presumably an intentional throwback to director David F. Sandberg’s days directing horror, they far surpass Strong. Additionally, his backstory, in a film filled with several, is easily the weakest of the bunch, one which includes a strained relationship with his father, played by John Glover, who unfortunately brings almost nothing to Shazam!. It could also be said that the climactic ending goes on far too long-or does it? I still can’t decide. 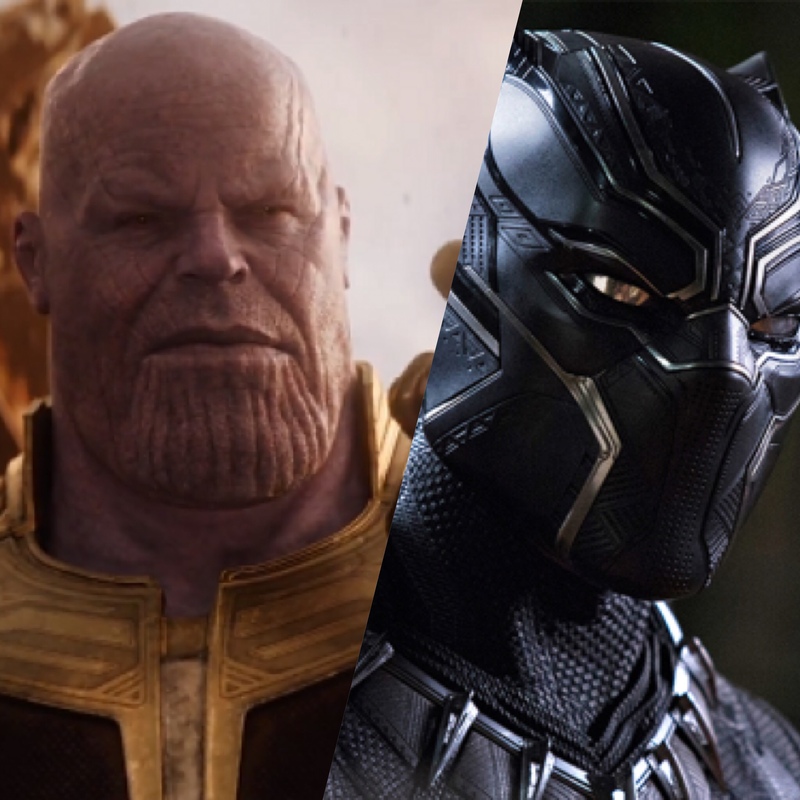 In fact, it’s hard to decide when a movie such as this is as enjoyable as they come-Sandberg’s simple direction, brilliant cast and Wallfisch’s score have all created an experience all the way to that final, marvelous scene that completely took me back to my youth and reminded me that movies still have the ability to entertain. DC’s journey has been far from perfect, but with Shazam!, it represents a beautiful look ahead, one that’s completely changed my perception of what the studio may be capable and one that has me eagerly awaiting the spandex-clad escapades yet to come. In this day and age, when every look at the news seems to represent seemingly nothing but endless darkness, we all could benefit from a movie like this, when all we had to worry about was what soda we’d order or how much butter graced our popcorn. It’s a child-friendly experience for the kid in all of us, one ripped from the limits of our imagination and the reminder that maybe, just maybe, adventure is just one magic word away. Shortcomings in several cast members are overshadowed by director David F. Sandberg’s simple direction, brilliant cast and Benjamin Wallfisch’s score.